When it comes to choosing the best boat storage facility, there are important things to remember. 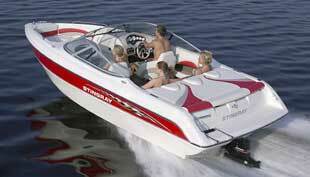 As a customer you want a storage facility that offers you a clean and secure place to keep your boat stored. Boats and their trailers are an investment that you want protected from thieves and vandalism that could damage your property. 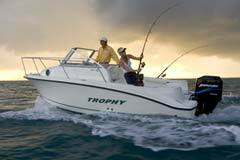 There are other important consideration when choose the best boat storage facility. The price you pay must be conducive to what you're getting for your money. That means value is important when making your choice. What saves customers money is never limited to just the monthly price. Customers will find great value in onsite amenities that save the customer from sending additional money that they would otherwise have to pay for. For example: An RV owner can spend $50.00 dollars on a coin operated do it yourself pressure washing facility. At McBride's, customers get unlimited use of the wash bay where customers can wash their boat and trailer in tandem with their tow vehicle all at the same time. Another amenity offer by McBride's that customer love is the free ice. Boat owners always use ice for their ice chest to keep their favorite drinks cold or keeping those caught fish on ice. This is another example were a customer can save the time and money they would otherwise be spending. Having these types of cost saving value, should always be considered when making the best choice for boat storage. Boat owners should never take shortcuts when it comes to placing their boats at a parking facility. Far too often Boat owners focus solely on the price and don't consider what type of security features are being implemented that make sure that their boat and trailer is safe while their gone. McBride's uses the best security features that give customers peace of mind, knowing that their vehicles are safe. For example, McBride's has the latest technology with regards to cameras, and electronic gate access equipment. This type of technology protects the facility from unwanted elements that could jeopardize your vehicles safety.